On this episode of The Check-In, we’re joined by Hannah Morris, Customer Experience Representative, and LaVada Taylor, Business Manager, at The Receptionist. In early 2019, Hannah will hit her one-year mark with The Receptionist, and LaVada will reach two years not long after. 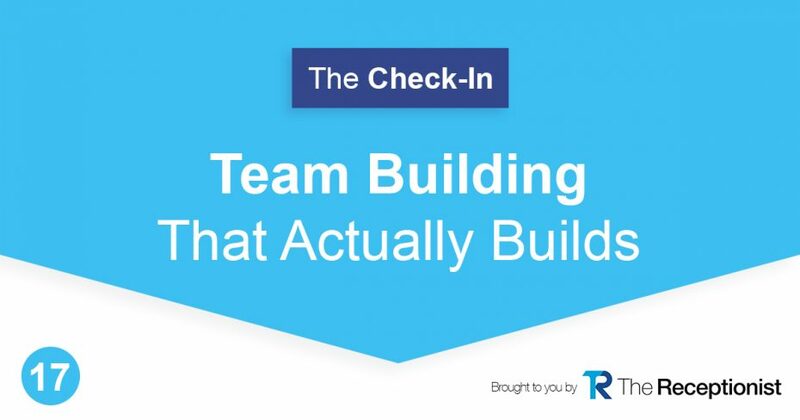 They join us to talk about team building, and what goes on at The Receptionist (and what doesn’t) that help make The Receptionist a team to be reckoned with. How does The Receptionist Build its Team? Building a team starts with the right people. The interview process at The Receptionist has been developed and refined. It includes small-group interviews with all current team members- that way, the people who are hired are not only great for the job they’ll do, but they are individuals that the team is excited to work with. There are no trust falls happening here because day-in and day-out, this team works together and develops trust in each other. At meetings, everyone is heard, and no one voice is stronger than another, and everyone is working toward the same goal, cheering each other on along the way. But is there team building? Yes! The culture at The Receptionist was intentionally created by all members of the team, there are stand-up meetings that everyone joins, and there are monthly meetings, as well as activities outside of work. The team building that happens is natural, subtle, and constant, which helps employees like Hannah and LaVada feel very fortunate that they work at such a great company- we’re glad they’re with us!